When we first got the rental here in Fredericton we knew because of the time of year we had to grab it quick – especially if we wanted someplace central so Meaghan could have an easy time getting to whatever work she could find. One was the guy downstairs. He was super noisy and inconsiderate. His wife and baby were great though. I’ll skip mentioning their dog. Then we found mould. Not just in dampo kitchen and bath areas around the 1960’s sliding windows, but sprouting up ont he ceiling and along the baseboards in the bedroom. We started look in January and were lucky to find something just perfect for me, Ron and Emma. Meaghan has the old rental until the lease is up, then she is officially for reals on her own after that. Our new rental is on the river on the north side, just near the outskirts of town. It’s a whole house, back off the road, loads of room for us without being too big, and a really good trial run for all the things we want in our retirement home. It’s five extra minutes to get to the grandkids, but it’s no longer an hour and a half to visit so I’m taking what I can get. Our big old farmhouse is now for sale, so if you are looking for a house near Woodstock, Hartland or Florenceville, now is your chance. If you go look at my flickr, I added some house shots. We are super happy about it and the more we settle in the more we love it. 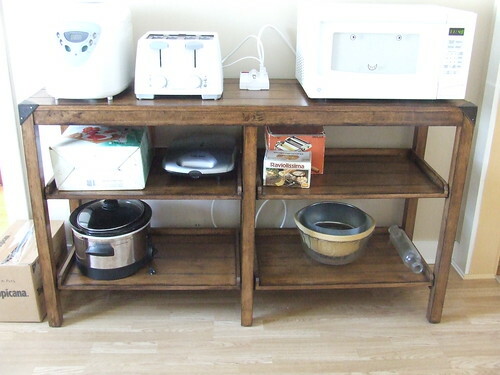 I also bought a console table for a little room off the kitchen, and we’ve made it an appliance center. Love the table so much. 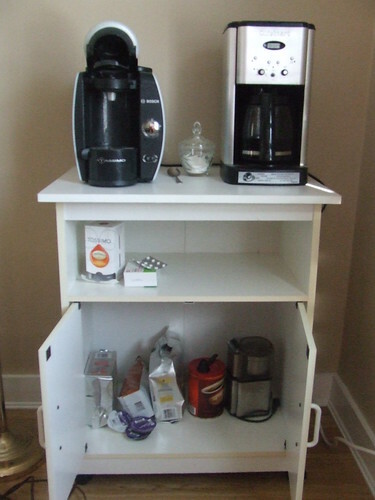 In the same room, we also set up a coffee station. This room, while being off the kitchen, also has the master bedroom to one side and the bathroom to another. So when we get up, we cross the room, turn on coffee or tea, go to the bathroom, come out, grab our beverage and continue on to the rest of the house. Perfection! I also set up my sewing room again! 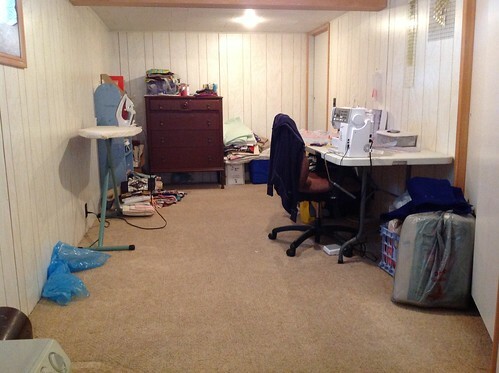 This house rental has enough rooms I can have a sewing room. The old one was so small I was in the corner of the living room at first, then a corner of the bedroom. Neither worked very well. So much happier here. I can see us spending a few years here quite nicely. Hopefully you will stay a long time. Moving is no fun.